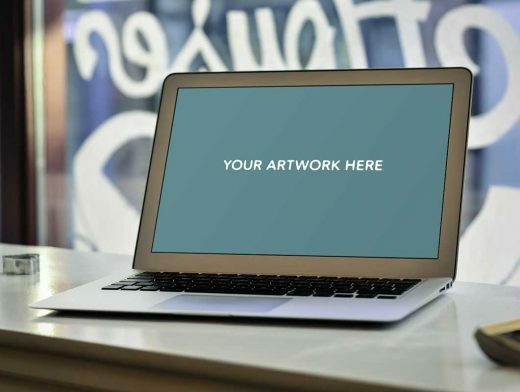 This free photo of a MacBook Air sitting on a bistro bar with cola glass presents your application screenshot on the MacBook LCD screen. In the background is the bistro window with the rest of the photo simply providing ambiance to the scene. A Smart Object is provided to help the application of your design onto the product be a smooth process.